We extended our unbeaten run to an incredible 12 Championship games when Sean Maguire popped up to head in an injury-time winner just as the game appeared to be heading for a goalless stalemate. Maguire had spent most of the game being battered, bruised and pushed around by a physical Birmingham defence but on St Patrick’s weekend produced a bit of Irish magic at the death to send the faithful into raptures. We had to be thankful on a couple of occasions to our goalkeeper who put on another “Rudd-y Good Show” in keeping out Birmingham which fully exorcised the ghost of his blooper at St Andrews earlier in the season. 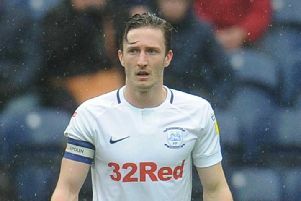 Man of the match Ben Davies – promoted to captain in the absence of Paul Gallagher – turned in another inspirational display. The central defensive partnership the “Barrow Baresi” has formed with Jordan Storey the “Exeter Ferdinand “ has been the cornerstone of our recent success, with both these young players having the ability to confidently play football on the floor as well as dominate in the air. Credit must also be given to Alex Neil, who played an attacking formation in a bid to win the vital three points, even though we didn’t really look like scoring for most of the game and created very little. Birmingham, who have only won once in their last 12 visits here way back in 2001, were backed by a large following which at times drowned out the home support. But it was our fans who were making the most noise at the end of the game with the away fans looking dejected as they boarded their coaches heading back towards Spaghetti Junction. In our last three matches we have not performed to our best ability but have taken nine points and there is no doubt that this is another massive result which edges our team tantalisingly close to a play-off berth now we have reached the lofty heights of seventh place.